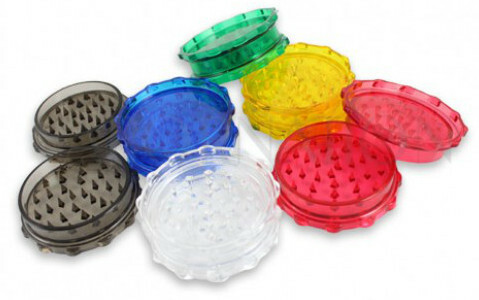 Here you find grinders made from metal, wood or acrylics, to grind your herbs to your preferred size. Most grinders are made of two interlocking disc halves with small or larger teeth, fitted on the inside of the container. Twisting the grinder parts for a longer time results in a finer structure for your ground herbs or substances.